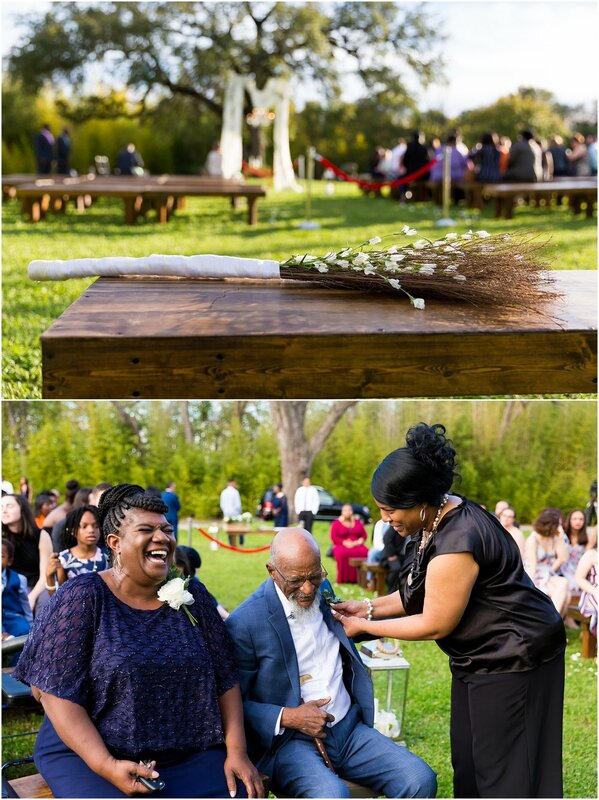 We kicked off our 2019 wedding season with Elijah & Jessica’s romantic sunset ceremony at Lover’s Leap in Cameron Park. And they were such a fun and beautiful couple to start the year with! Back in 2012, Jessica was the director for the youth program with Mission Waco and Elijah started volunteering with the youth there. They developed a close friendship while working together, and Elijah got up the nerve to ask Jessica to “hang out” for the 4th of July. It was a wonderful first date, fireworks included, and the two began hanging out more and more. Only 10 days later, Jessica asked Elijah, “So, are we doing this thing or what?” And they became an official couple. Fast forward to August 9, 2017. Jessica’s friend wanted to take her out for her birthday. But first they needed to stop by the Jubilee Theater at Mission Waco for nostalgia sake. When Jessica walked into the theater, she saw all their close family and friends, and her dad led her to a special seat on the front row. On the screen began to play an animated timeline of her relationship with Elijah. After the film ended, Elijah walked out on stage, got down on one knee and asked Jessica, “So, are we doing this thing, or what?” Jessica said YES! and these two Sweethearts began planning their forever. Elijah & Jessica found a gorgeous ceremony spot at Lover’s Leap in Cameron Park. Nestled off to the side of the beautiful overlook is this green spot under a large tree, perfect for a golden hour ceremony. The rain from that morning drifted on and by ceremony time, the light and location were so romantic and beautiful , exactly what this couple deserved. After the ceremony, Elijah & Jessica squeezed in a dramatic mini-session in front of the cliff overlook in Brazos Park East. 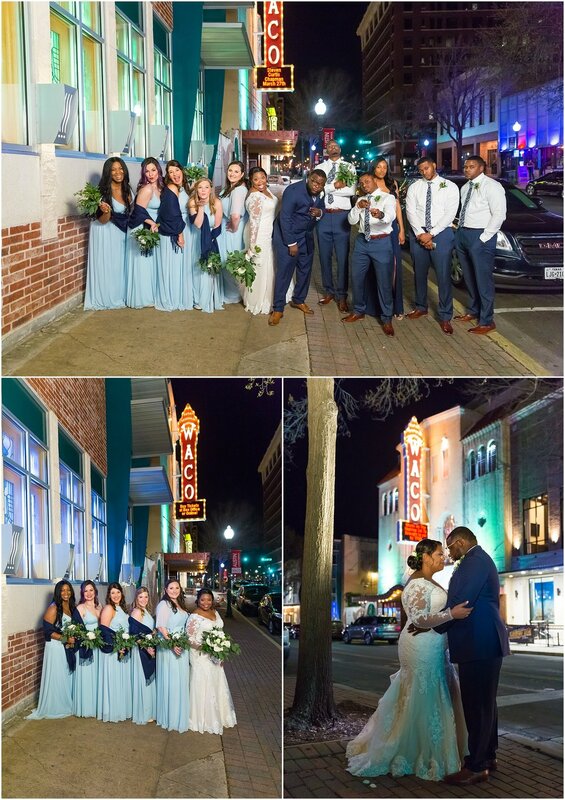 Then they joined their family and friends at Cultivate 7Twelve for their rocking wedding reception. 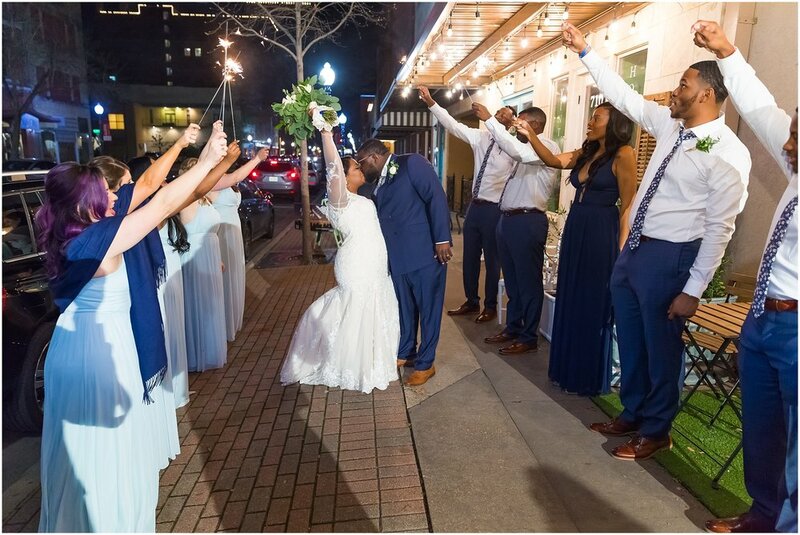 Watching Jessica dance with both her dad and mom, seeing Elijah dance with his mom, hearing meaningful and fun toasts, and seeing all their close family and friends celebrate their love was the perfect ending to such a wonderful start to a marriage. 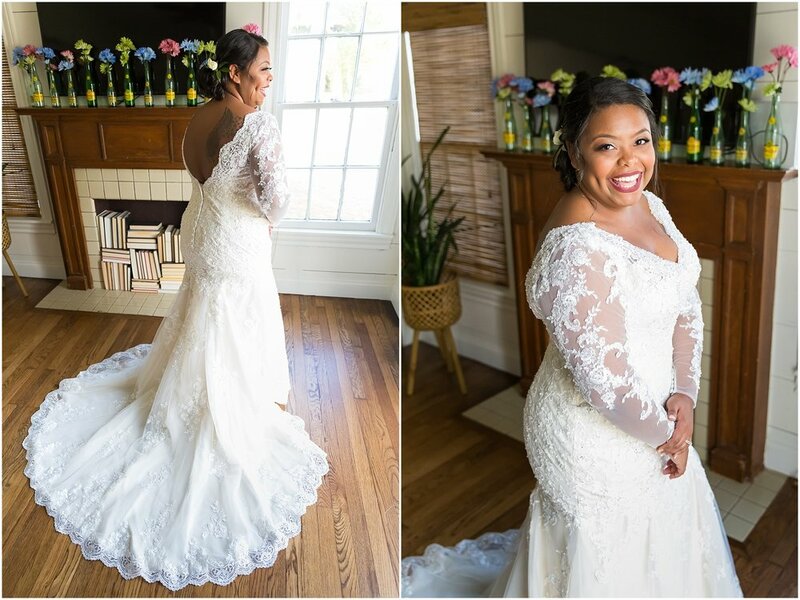 When we asked Jessica what meant the most to her on their wedding day, she said having a “…moment in time for us to have all of our favorite things in one place to celebrate our love and commitment to each other.” And we couldn’t agree more. We pray the love you felt from all your family and friends, and the love you felt for one another, on your wedding day will be a memory you carry with you throughout the years. May each anniversary give you a chance to remember these moments and look forward to many more. This past Saturday we were able to be with an adorable pair of J&M Sweethearts and photograph their wedding day. (You may remember Michael & Pamela from their engagement session in Belton, Texas.) 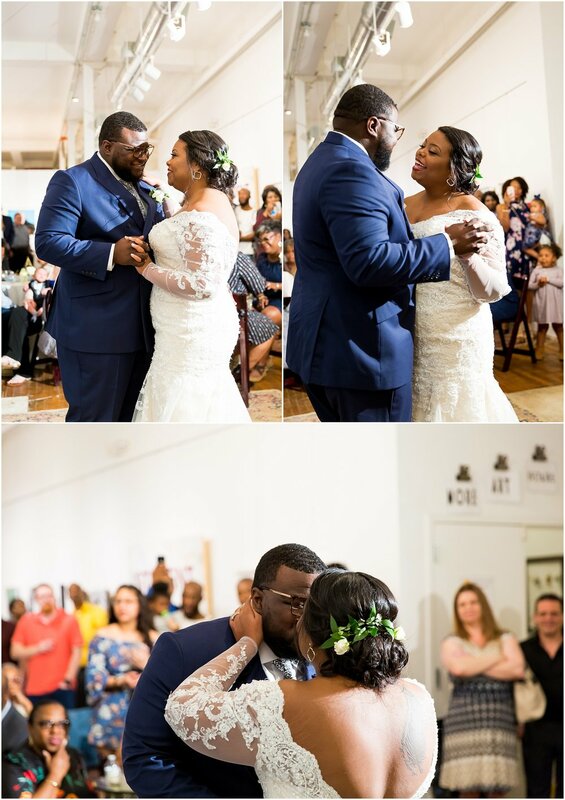 Michael & Pamela are one of the sweetest, most playful couples we’ve met, and watching their love for one another on their wedding day was such a gift. 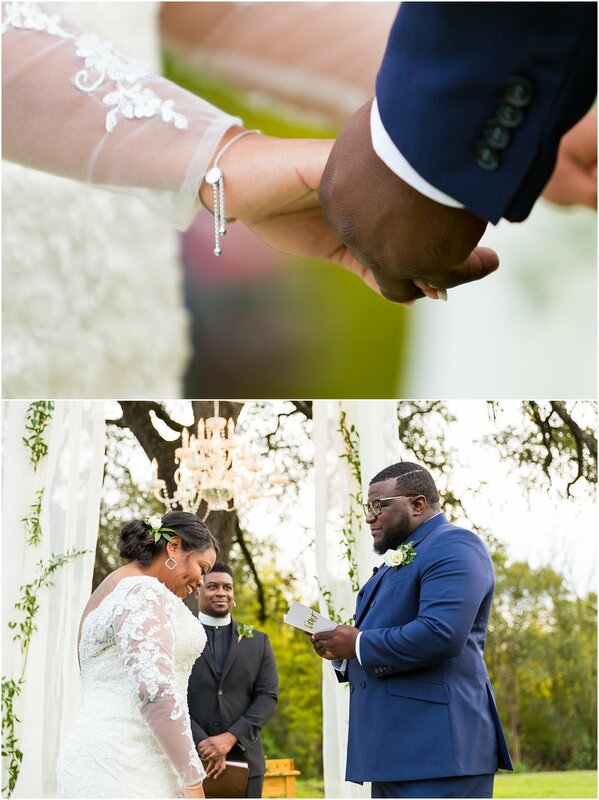 Though Houston is home for these two, they chose the gorgeous La Rio Mansion in Belton, Texas as the location for their wedding. It is such a beautiful wedding venue in the Waco/Temple/Belton area, and we could not wait to photograph their romantic wedding day there. Michael & Pamela planned for their wedding ceremony to be under the large trees at La Rio Mansion. As we joined them for the rehearsal the evening before, we all commented on how wonderful the weather was and hoped the rain would hold off the next day. Well, the weather didn’t cooperate with us, and as Pamela started getting her makeup done on her wedding day the rain began. And the rain stayed with us all day. So as Pamela finished getting ready, the La Rio staff and Pamela and Michael’s family and friends began setting up chairs for the ceremony under the large covered driveway in front of the beautiful, Spanish-style home of La Rio Mansion. Reception tables were moved under tents and covered porches. 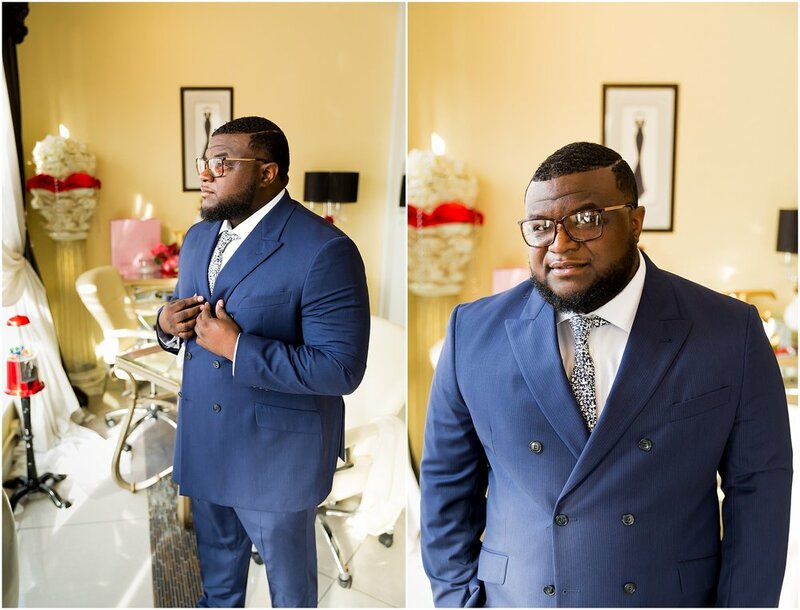 The bridal party began planning how they would change their processional and where they would stand to accommodate the new location. And before you knew it, everyone and everything was ready to give Michael and Pamela the beautiful wedding of their dreams. Their wedding day may have looked different than they had planned and hoped for, but Michael & Pamela’s wedding was a day full of love. Family and friends drove through the storm, and stood under umbrellas in the rain, to bear witness to the marriage of these two sweethearts. Pamela walked down a different aisle than she had expected, yet Michael was still overcome with emotion seeing his beautiful bride for the first time. And when they danced for the first time as husband and wife, having drops of water fall on their heads from the tent above, they laughed and rejoiced together as their loved ones looked on adoringly. 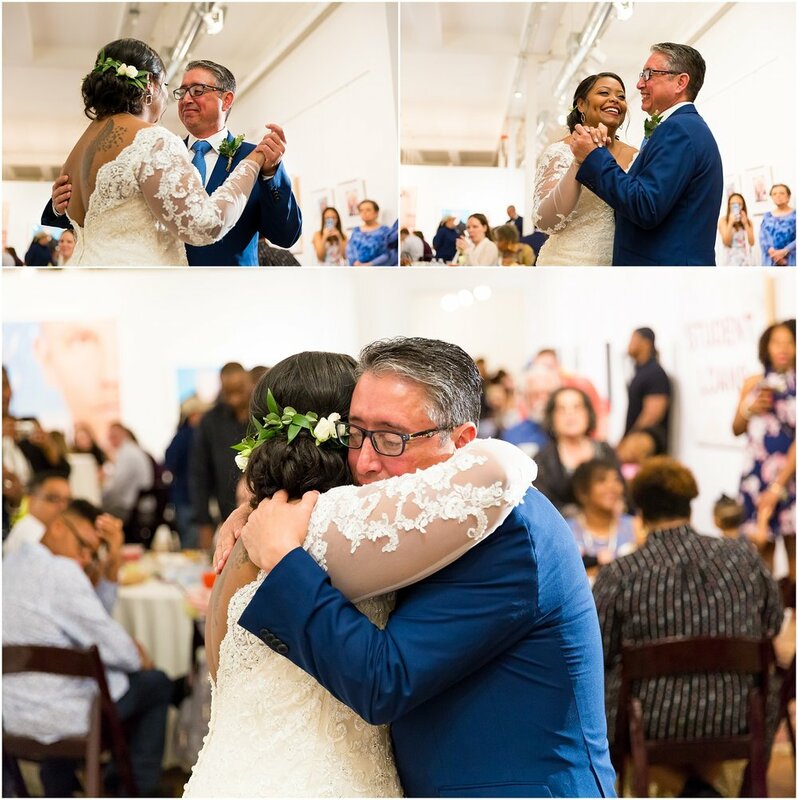 Michael & Pamela's wedding day was a perfect example of the true meaning behind all the planning and celebration, the beginning of a lasting marriage. The day looked a little different than what was planned. But the joining of these two sweethearts into a marriage, dear family and friends coming to witness and cheer on this couple as they begin their forever, that is what the wedding day is all about. Congratulations again Michael & Pamela! We were so honored to share in your wedding day. And we hope these images will help you relive your beautiful wedding day for years to come! There's something about a family with lots of boys that I (Melaina) find so intriguing. Growing up, my one younger brother was far outnumbered by his three sisters. He often complained about being in an estrogen-filled house. Jason and I also only have two daughters, so the boy in our house is out-numbered 3 to 1. Being around a family of lots of boys is foreign territory for me. But it's oh so fun! Their energy is infectious. Their spirits are playful. And they love to move. The Murrell family did not disappoint. Their three sons were balls of energy, and you could tell their home was a lively one. In all the fun, though, one of the touching things was to see how they loved on their baby sister. She is in the early stages of walking, and they were eager to help her. They would give her hugs when I was posing them. And even though she may grow up out-numbered, you could just tell she was going to have three older brothers who loved and protected her throughout her life. Thank you, Murrell family, for letting me capture this time in your family's life. It was a joy to be with you in the bluebonnets.